A roomful of people lay on the floor in near darkness as I moved around them on a lit skateboard breathing through a tube onto their exposed skin. 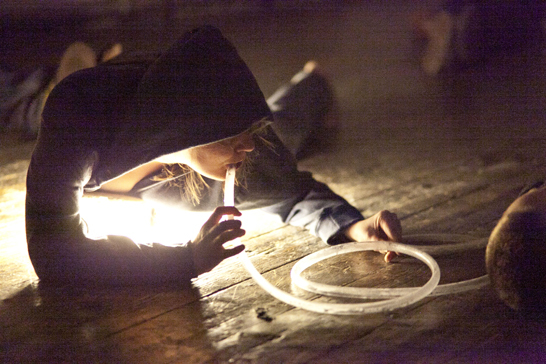 Exploring ideas of low-fi science fiction and consciousness, tube breather performs a creature that has identified other sentient lifeforms. Here the creature makes a tentative social gesture where breath is used as a kind of ‘first contact’.